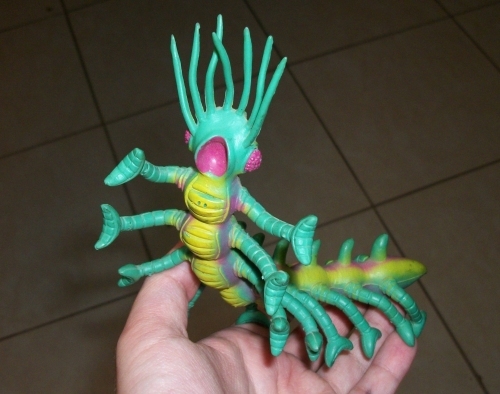 The one that may have started it all, this colorful rubber bug was the first monster toy I can ever remember owning, actually released in 1982 only a year before my birth. Having received it second hand, I didn't originally know what this creature was supposed to be, and referred to it as "hobby-bug" after my parents read "TSR Hobbies" on its underside. At twelve inches long, Hobby-bug seemed gigantic in my tiny hands, and would travel everywhere with me as an imaginary pet. 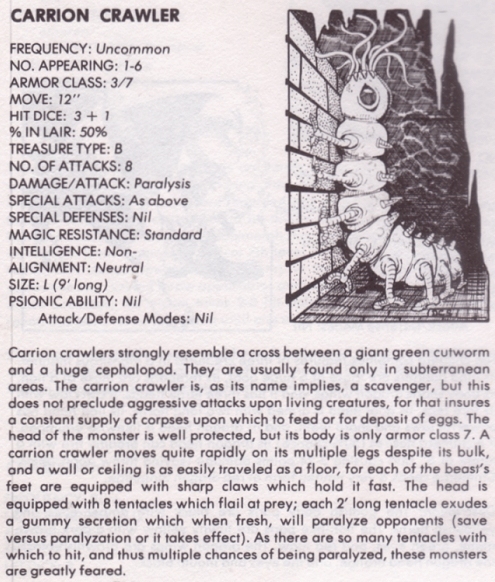 My mind soared when I cracked open my first Monster Manual and finally got to know my little friend's history. 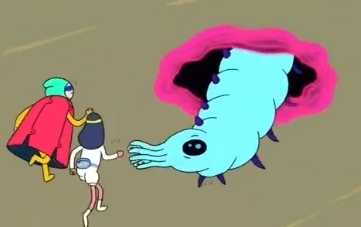 Hobby-bug underwent an instantaneous metamorphosis that day, from an adorable little squid-faced caterpillar to an adorable GIGANTIC squid-faced caterpillar who also happened to kill people and lay eggs in their decomposing remains. Naturally, I'm a bit of a purist for the original Crawler design. What's really there that ever needed improvement? The alien, segmented feet, the raspberry-like eyeballs, the colorful braincase and rounded, caterpillar-like segments all still look very, very cool to me, and the color choices for the toy are simply beautiful. I also love that gaping, toothless pink mouth you can see above, though this detail was invented for the toy sculpt. 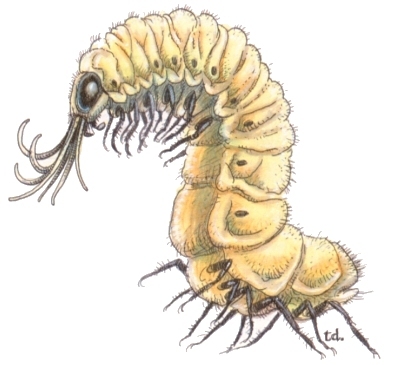 The 90's Diterlizzi redesign, unfortunately, goes for biological realism at the cost of weirdness. I obviously can't dislike a giant beetle grub with a squid face, and it still has a heavy dose of cuteness to it, but it's just a tad bland. Its text description still referred to it as looking like a "giant, green cutworm," and that's clearly not what we're seeing here. 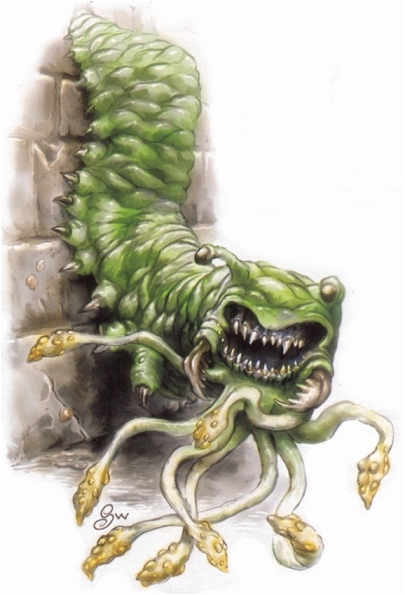 In modern publications, the poor Crawler is virtually unrecognizable, a lumpy slug with beady, stalked eyes and beastly, toothy jaws above its tentacles. Taken by itself, it's a neat enough design, but as a Carrion Crawler? It's just not the same. Like the Otyugh, it tries too hard. There's more than one kind of "cool," Wizards. At least Adventure Time knows what's what.